If you've entered wrong information or chosen the wrong engagement, here's how to edit or delete a session. 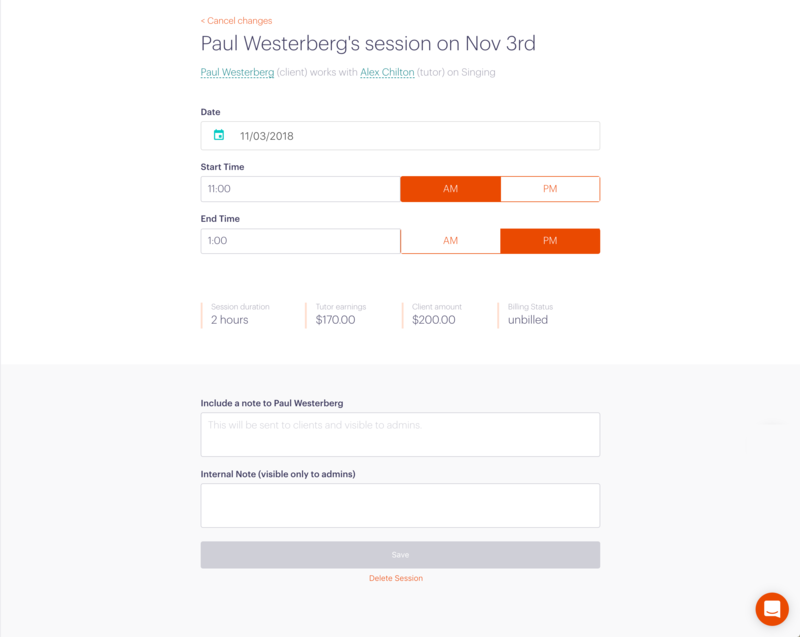 View the session and click on the Edit Session button at the top left. You'll be able to modify the date and time of the event to make sure it is accurate. If the session hasn’t yet been added to any invoices, you can change the start time and end time to make sure your bill will reflect the correct totals. For prepaid sessions, or for sessions that have already been billed for, the end time will stay at the fixed length to make sure the totals don’t change retroactively, and your reporting stays accurate. If you don't change any information you won't be able to click 'Save'. Instead, you can choose to 'Cancel changes' at the top left corner or just hit back on your browser. Updating the session report does not resend the session email. Click 'View' on any unbilled session. Click 'Delete Session' in the upper right corner of the screen. Confirm the deletion on the following pop-up. That’s it! The session is gone. 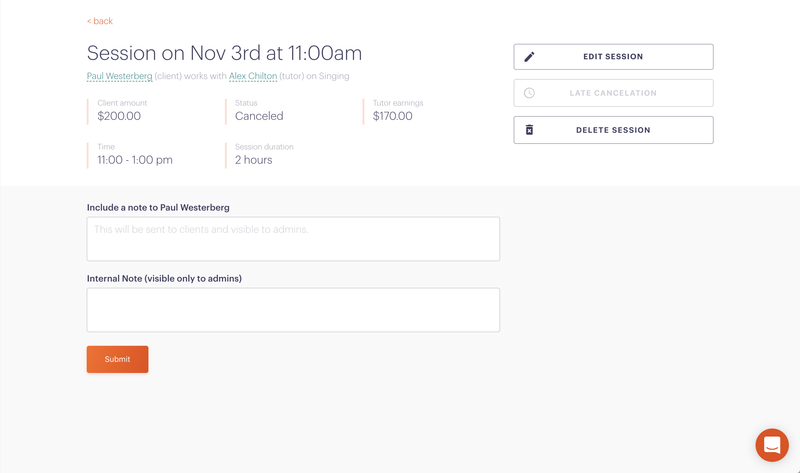 Please note: If the session is on a paid invoice, it won’t be deletable. 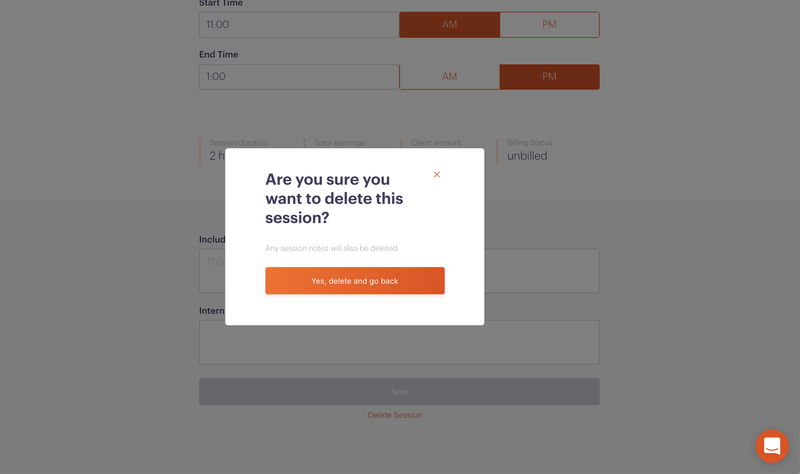 If it's on an outstanding invoice, you can cancel the invoice and then delete the session.